Infinium Strike has launched on multiple digital distribution sites, including Steam, GOG, and Green Man Gaming. Without any spoilers, here's some tips, strategies, and tactics to beat back the invading Wrog. 1. In order to utilize each turret effectively, understand that each of the weapons turrets only fires to a certain sector range, listed in their information when you purchase them. The color of the Wrog portal that opens designates the type of ship coming through. Match attacking ships to the turrets. 2. Upgrade, upgrade, upgrade. 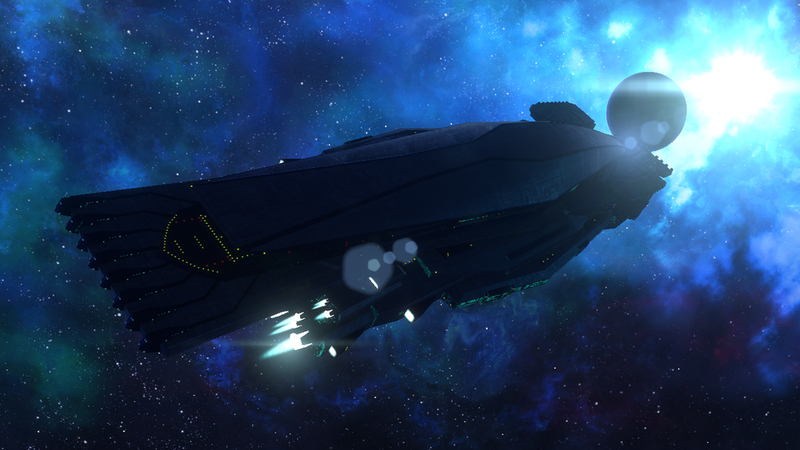 The player ship, the turrets, and the fleet ships are all upgrade-able. Fleet upgrades are tricky because they are expensive, but doing so pays out down the road. 3. Figure out tactics early. It always pays off to know what the trade-offs are. The Portal Warning System in the bottom left corner and the tactical map help players see what is coming their way. 4. Upgrading Freedom Strike repairs armor. Time your upgrades for when you need repairs to maximize the effectiveness of armor repair. However, waiting too long means valuable SuperTech and additional turrets are not available. It is a balancing act, and that is the main point of the game: The tactical effectiveness will go up the more you can balance the 3 main combat systems: Turrets, Fleet, and SuperTech. 5. Well-timed deployment of Star Voids can prevent a lot of damage from projectiles. 6. Don't forget to utilize your Super Armor when needed. Regenerating 100% shields can prevent damage as well as provide resources to the Shield Shot SuperTech. 1. Try to pair the Shield Shot and Super Salvage together. This results in an infinium windfall. Similarly, try to pair Shield Shot and Super Shield together to get back the lost shield used in the Shield Shot immediately. 2. Typically, the Wrog attacks slow down during the end and beginning of a level. It might be a good time to upgrade the Fleet! 3. The pre-set turret banks cameras are the most effective way to play harder levels. Admiring the deep space view can be deadly! We hope you have fun with Infinium Strike, and if you are mastering it, give Deep Space Arcade mode a try to see how you stack up on the Leaderboards. Everybody gets the same pattern of Wrog enemies, so staying alive longer means you are better at killing the Wrog.